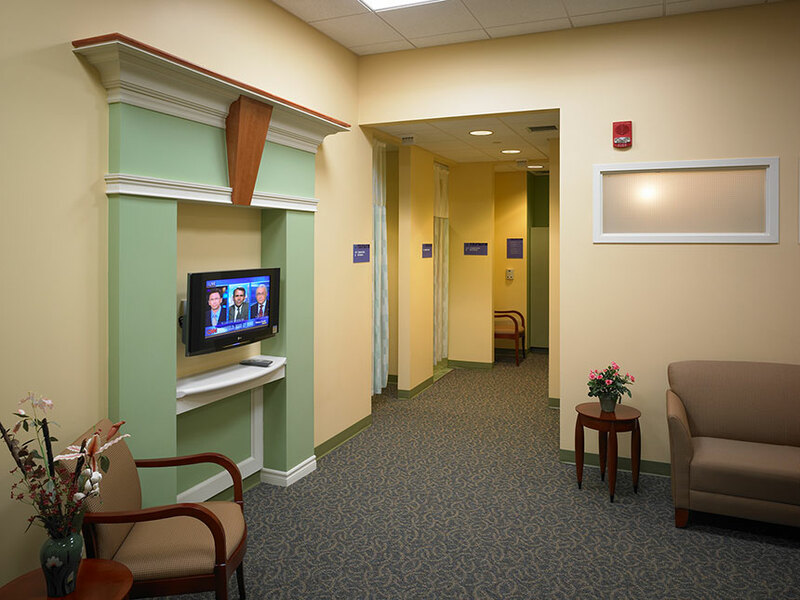 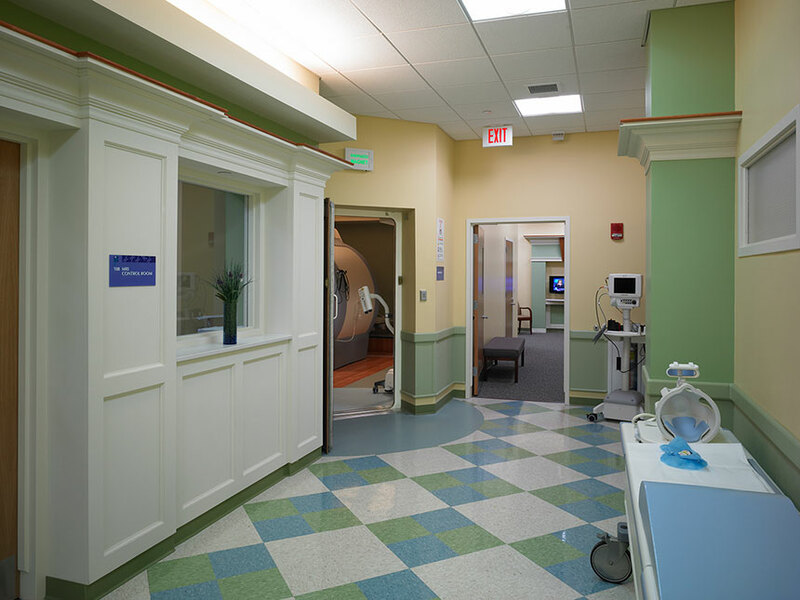 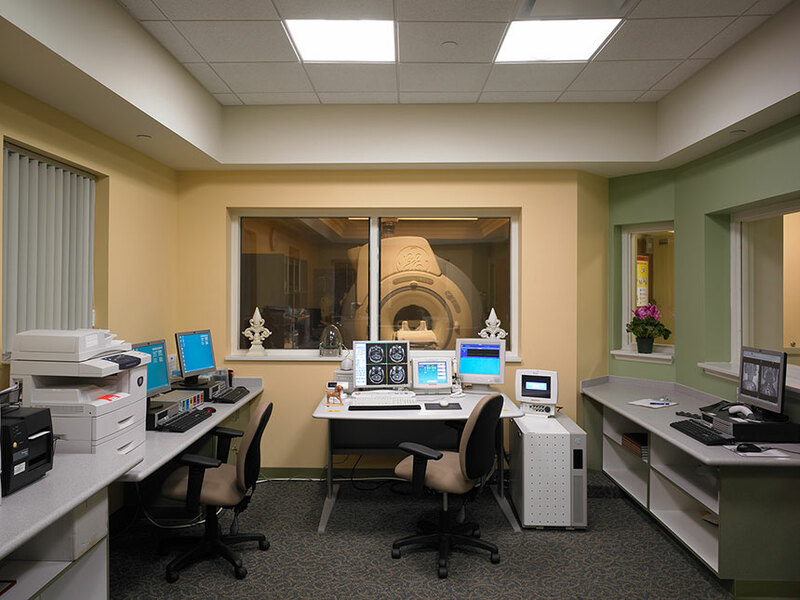 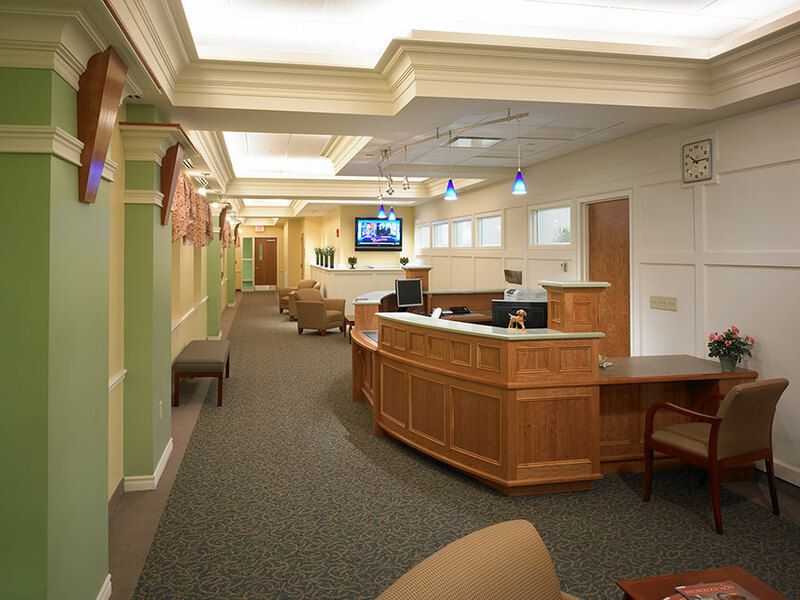 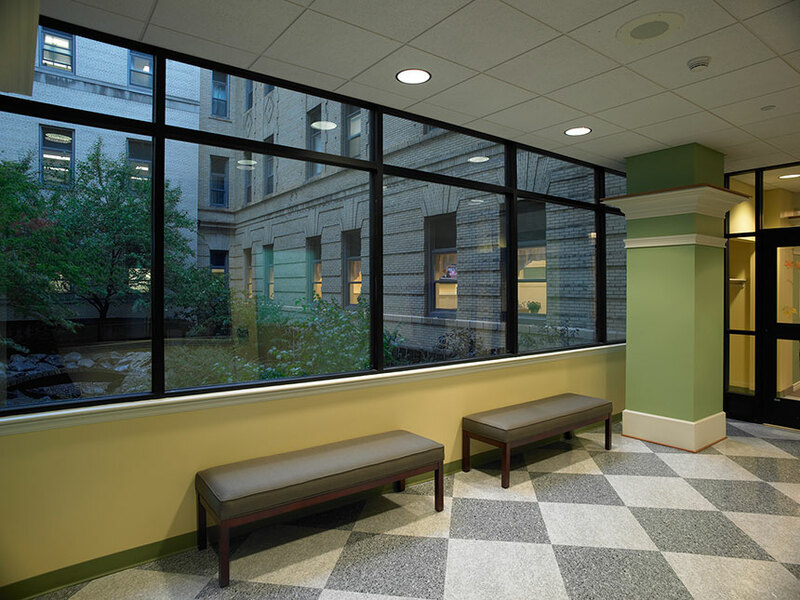 The MRI Suite is the culmination of a master plan and feasibility study which included an analysis of patients. 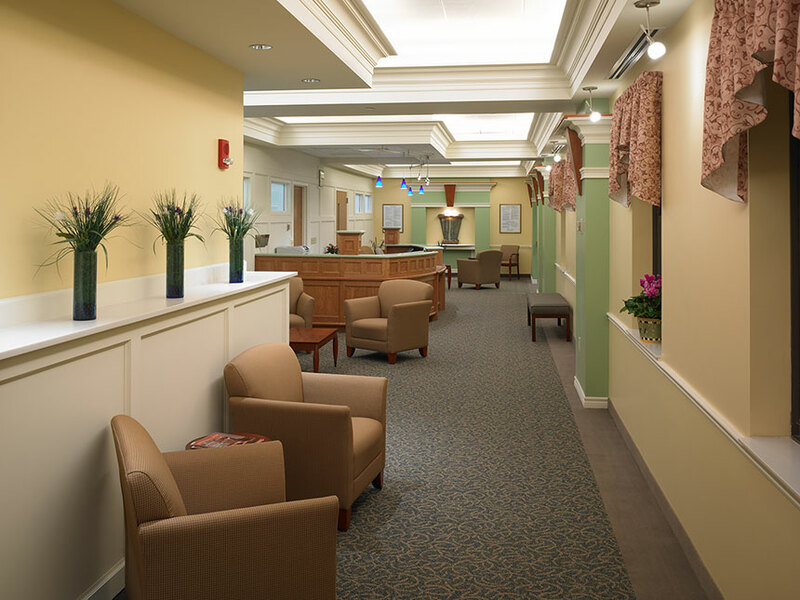 Indirect lighting coves disguise the existing mechanical infrastructure, allowing the higher ceilings and creating a more spacious appearance. 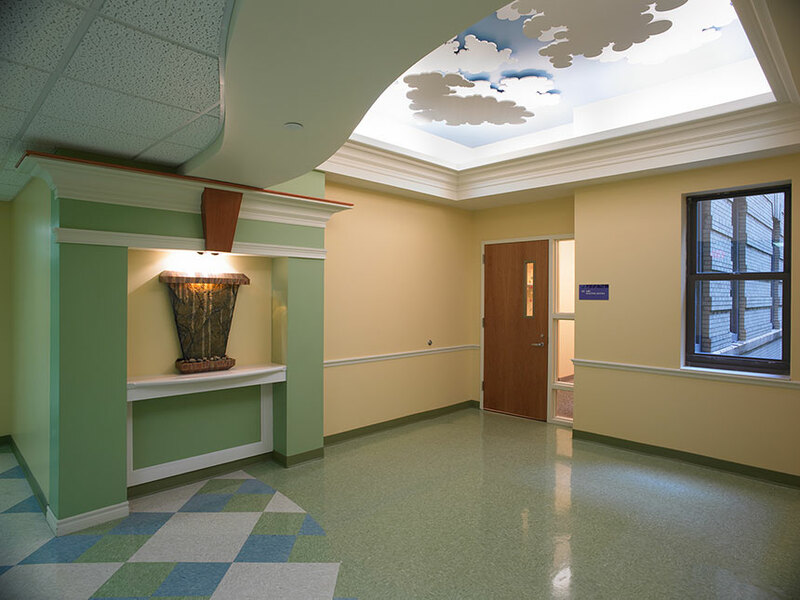 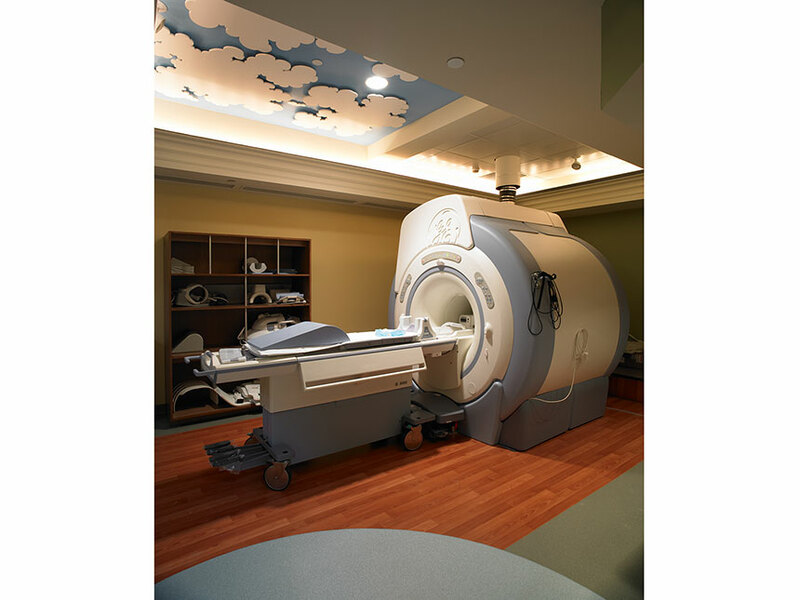 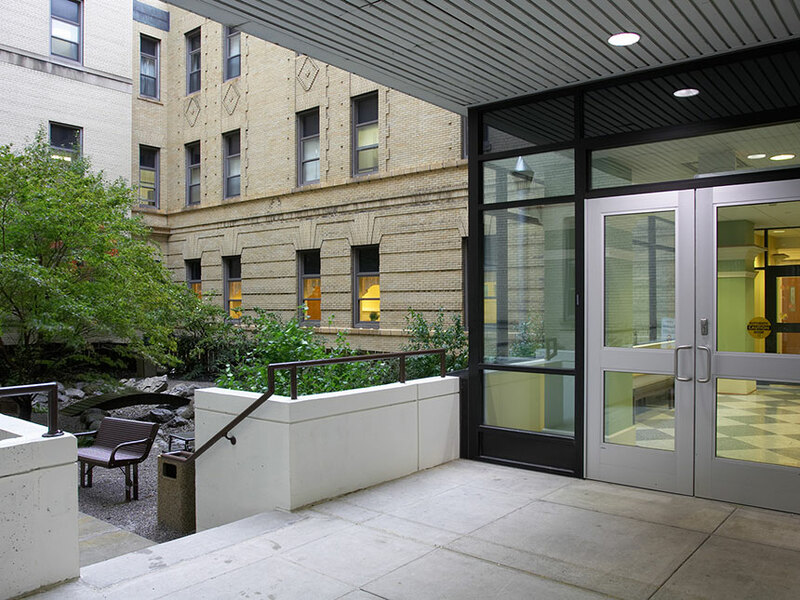 The introduction of clouds above the MRI helps to sooth patients dealing with a stressful situation.